Nothing feels better than being struck by motivation and putting that motivation into action to create your best life. But putting feeling into action isn’t always easy. According to the online health and wellness source verywell, motivation is made up of 3 main components: activation, persistence and intensity. Activation is your initial desire, persistence is your commitment and consistency, and intensity is your focus to see your goal through to the end. There are countless tools, apps, and mental exercises that are known to support these components of motivation. The app Fabulous, for example, keeps you focused on your everyday goals with reminders and progress trackers. You can also try handy tricks like playing a pump-up playlist or changing up your work location. But one of the most effective methods for motivation may be lying on your bedside table as we speak — that’s right, your trusty ol’ journal could be your key to motivation this year. According to a Harvard Business School study, employees who logged each day in a journal experienced 22.8% increase in performance compared to employees who didn’t. It can be easy to make a mental goal and keep it there, promising to address it later. Unfortunately, our brains are overloaded with so much information every day, it’s unlikely we’ll hold on to many of these thoughts once the day is over. According to a study by Dominican University psychology professor Gail Matthews, those who take the extra step to write down their goals are about 35% more likely to achieve them. When you simply think about your goals, you’re only using the right half of your brain, which controls your imagination and creativity. By making the motion of writing down your goal, you trigger the left hemisphere as well, which controls logic. This means you’re moving the idea through both your conscious and subconscious, making your brain far more likely to not only retain your goals, but to put action to them. Pro-tip: When setting your goal, be sure to also write down palatable milestones, or “mini-goals” you can accomplish along the way. Aiming for a new promotion? Write down 3 or 4 small victories along the way that will let you know you’re on the right track. A crucial component of productivity is giving yourself credit for your accomplishments. Take a moment each day to list all your accomplishments, however small they may seem. A renewed wave of motivation may wash over you once you realize you’ve accomplished more than you’ve given yourself credit for. And it feels great to realize you may be more capable of achieving your goals than you thought. Productivity changes from a myth to a reality as you realize you’re already taking the steps you need to create your best life. As an adult, it can be hard to find tangible ways to determine where you can improve to accomplish long-term goals. Students have grades and conferences, businesses have sales reports and Yelp reviews. As an individual, it’s up to you to create a structure in which you can evaluate your strengths and areas for improvement. A great way to do this is by incorporating an analysis of your decisions into your journaling. And an easy tool you can use to record your decisions is a Decision Journal. Whenever you find yourself making a significant decision, write down why you made the choice you did, what results you desired, what results you expected, and how this decision made you feel. Every few months, look back and compare the results to your desires. Evaluating where the holes in logic in your decision-making process were allows you to make even better choices in the future. You’ve probably heard the phrase, “consistency is key.” In terms of motivation, this is even more true than you may think. Following a consistent routine helps you establish clear mile-markers throughout your day that can add up to success. And journaling every day can be a consistent practice in self-care and reflection that helps clear your mind and stay focused in other areas of your life. When you’re feeling a drained, a quick journaling session can help you release the thoughts, feelings, stresses and achievements of the day. And leaving it all out on the page can help you find the energy and focus you need to hit the gym or work on a passion project. Counting your blessings on a regular basis is proven to not only make you feel happier in the moment, but it can even reduce stress in the long-term. And lower stress means better sleep and a stronger immune system. Not only that, but studies show that expressing gratitude improves relationships as well. A leader showing gratitude for employees can actually increase employee productivity. And doing something as simple as sending a “thank you” letter can leave a lingering feeling of positivity for as long as a month. 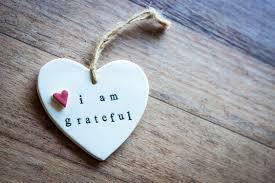 The times when gratitude seems the hardest to muster are often the times when you need it most. 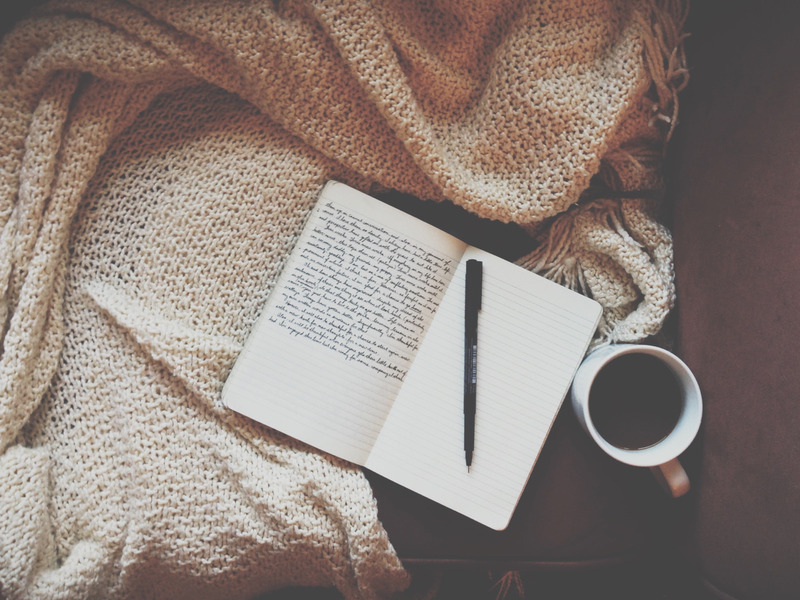 This is where journaling your moments of gratitude comes in handy. Writing in a gratitude journal not only gradually creates a habit of positivity, but it provides you with a resource of positivity to revisit when you’re feeling low. Our brains don’t know the difference between experiencing a new moment of gratitude and revisiting an old one. Remembering these moments of warmth from the past has the same hormonal effect as going through it all over again, so don’t forget to take time to read through your gratitude journal at least once a week.